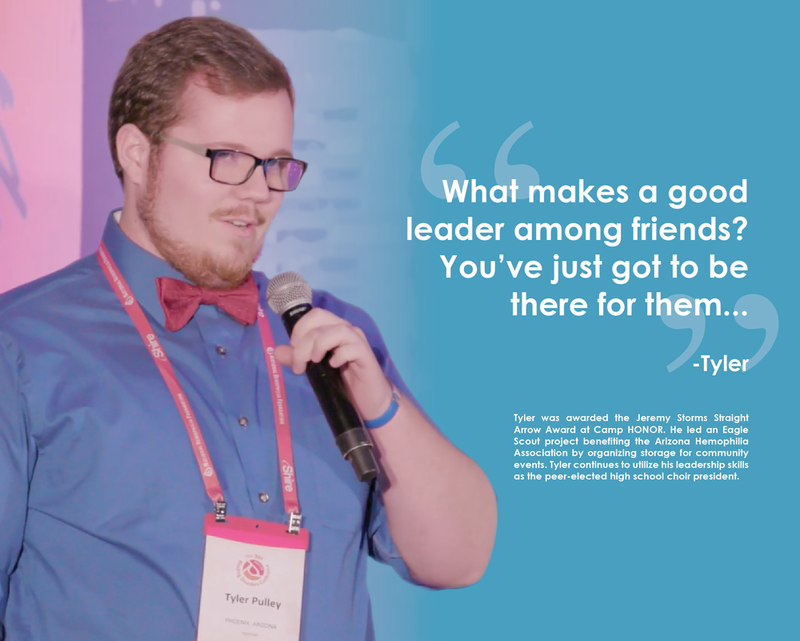 For the last four years it's been our honor to produce The Teen Impact Awards, the top community program to recognize teens in the bleeding disorders community who are making a positive impact in homes, schools and communities. The growth of the Awards has been remarkable: from honoring 34 teens from 15 states in 2015, to honoring 70 teens from 32 states in 2018. This year, the 5th Annual Teen Impact Awards aims to honor at least one impactful community teen from each of the 50 states! 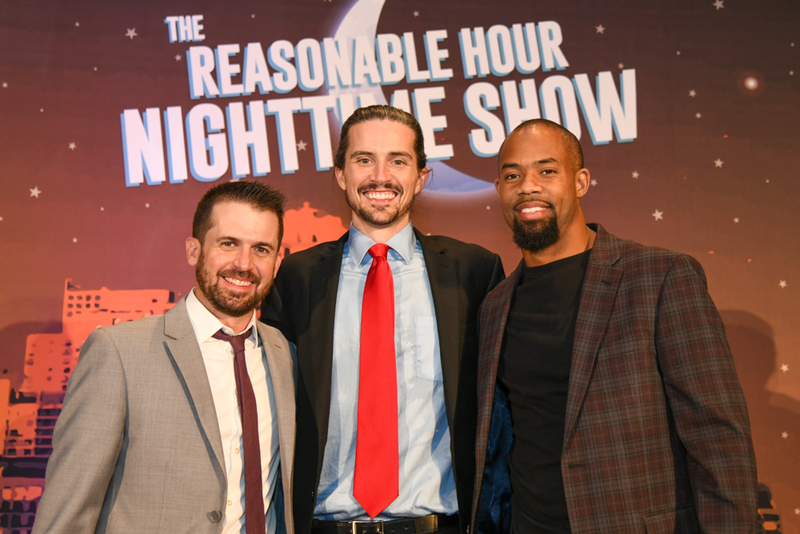 Hosted by community advocate Patrick James Lynch and guest presenters such as Super Bowl champion Josh Gordy, the Awards are held annually on the opening night of National Hemophilia Foundation's (NHF) Bleeding Disorders Conference (BDC), following Opening Session and the opening of the Exhibition Hall, from 8:00pm to 10:00pm. 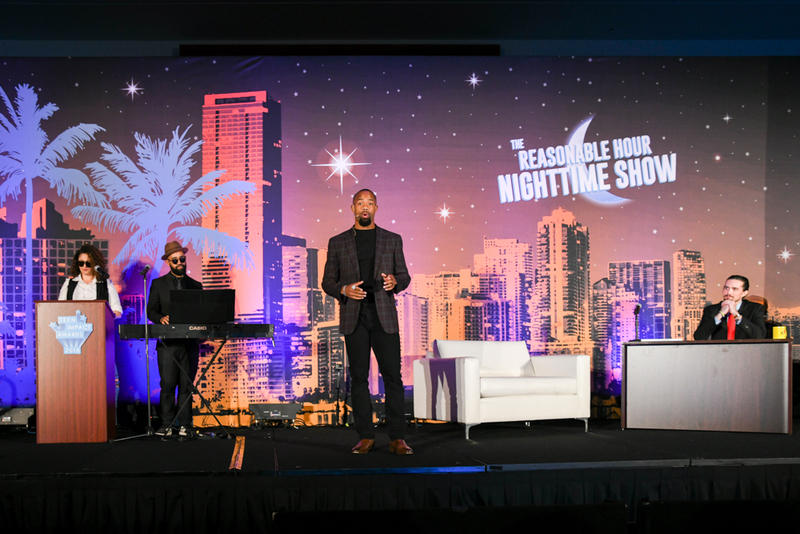 The educational and inspirational event features our honored teens speaking on stage, young adult leaders from NHF's National Youth Leadership Institute (NYLI), guest community presenters and more. The evening begins in the Awards lobby, made possible by our sponsors (see below). The lobby is filled with inspiring quotes from - and deeper looks at the impactful work of - our honorees. Light snacks are also provided! Honorees, family, friends, chapter leadership and our other guests are then ushered into the Awards. During the show the honored teens are brought up on stage to talk about the impactful work they do. Teens who can not attend are asked to provide a short quote about their work to be read by our hosts or guest hosts. Family, friends, and engaged community members help us celebrate the incredible work of these teens, through applause and handmade or provided signs. To submit for an Award or to nominate a community teen, please visit our official Submissions page after May 6th, 2019. For detailed answers to our most frequently asked questions, please visit our FAQ page. Sam is an experienced Boy Scout and leader. He’s led treks deep into the woods, up and over mountains, and earned over 40 merit badges. Sam is also an expert in preparing for these extreme physical and mental challenges, working closely with his HTC to ensure his safety and well-being before each new adventure. Check out James’ Teen Impact Awards Spotlight Video here! James is a fearless swimmer and generous leader, facing an ever-changing diagnoses with heart, humor and hustle. James father is in the military, so James also demonstrates resilience and strength every time his family moves to a new city and a new HTC. Check out James’ Teen Impact Awards Spotlight Video here! Gabi is a true leader on her soccer team and in her bleeding disorders community, organizing fundraisers and helping raise bleeding disorders awareness through social media. Check out Gabi’s Teen Impact Awards Spotlight Video here! Ismael is a kind and generous community member and family member. From volunteering to help younger kids at his chapter’s bleeding disorders camp to volunteering to help his parents in their burgeoning food truck business, Ismael is making an impact every day! 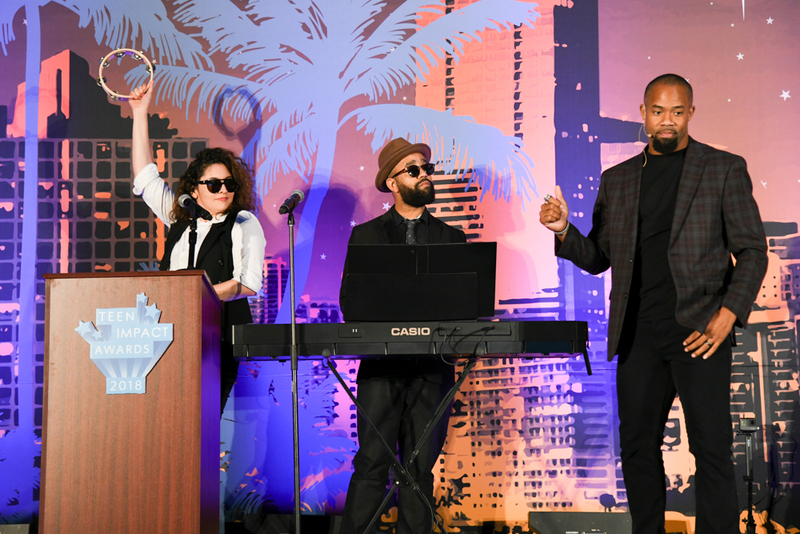 Check out Ismael’s Teen Impact Awards Spotlight Video here! Believe Limited is excited to bring you the fifth annual Teen Impact Awards! Together, we want to recognize the young people in the community whose lives are our inspiration. We invite you to submit for recognition any action taken after October, 2018 that created a positive impact in your own life or the lives of those around you. 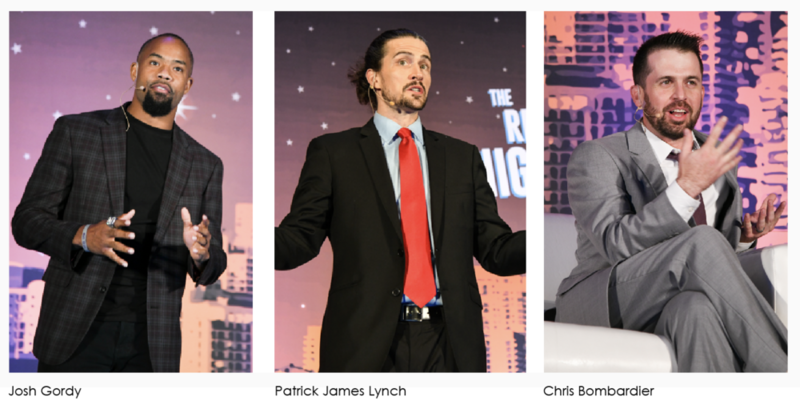 The Teen Impact Awards are hosted by Believe Limited’s Patrick James Lynch, creator of Stop The Bleeding!, Helping Hany, Powering Through, and other community programs. 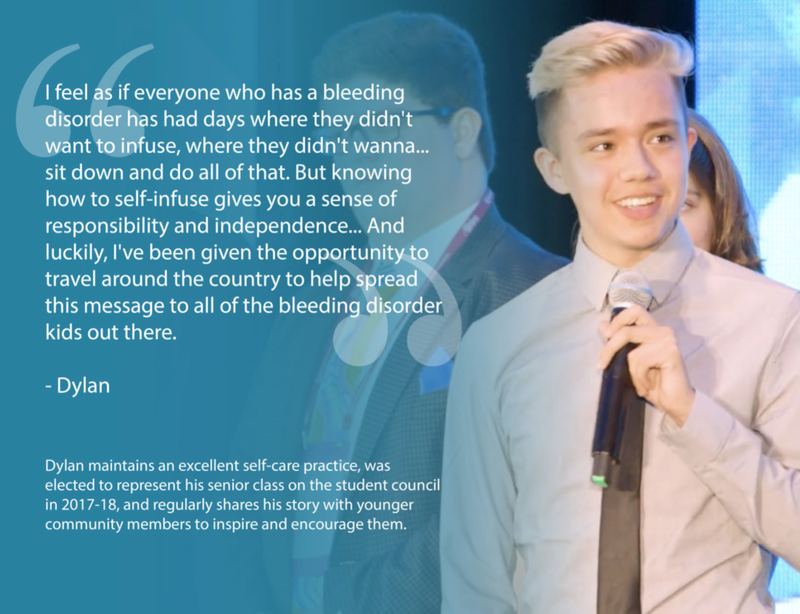 The Teen Impact Awards are an educational community awards show honoring young people (Ages 13-18) affected by bleeding disorders who are positively impacting the world around them. The evening of Thursday, October 13rd, 2019, from 8:00pm to 10:00pm. The Marriott Anaheim Convention Center, 700 West Convention Way, Anaheim, California 92802 (Location of NHF’s 2019 Bleeding Disorders Conference). The Teen Impact Awards recognize young people with bleeding disorders whose actions positively impact the world around them, by engaging in acts of service & volunteerism in their community, school, or home; demonstrating a commitment to health & wellness behaviors; or by role modeling exceptional achievement in academics, athletics, or the arts. Can siblings and children of people with bleeding disorders apply? Yes! 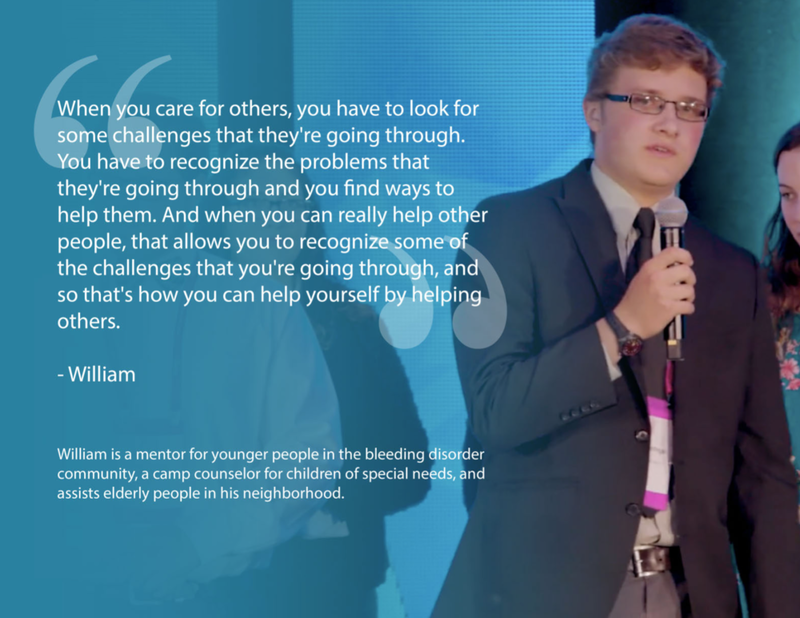 The Awards are open to any 13-18 year old affected by a bleeding disorder, which for us includes siblings and children of those living with hemophilia, vWD, or another inherited blood disorder. Submissions are open from Monday, May 6th through Friday, June 28th at 11:59pm PST. May I nominate someone who has been recognized with a Teen Impact Award before? Certainly! As long as the impactful action has occurred after October, 2018. We won’t be able to attend the 2019 Teen Impact Awards live event. Can my teen be recognized anyway? Of course! We recognize that traveling to NHF’s Bleeding Disorders Conference can be a financial and scheduling burden for most families. Because of this, we will be making a video of the awards available for those who can’t attend to watch at home and share with their families! Please check back occasionally: we will update the FAQ page as more questions come in! Additional sponsorships available in 2019. Please direct sponsorship inquiries to your contacts at Believe Limited, or use the contact form to reach us any time. The Teen Impact Awards are produced by Believe Limited. To connect, please visit our contact page!